Welcome to February, the month of holidays celebrating dead presidents, groundhogs and romance. 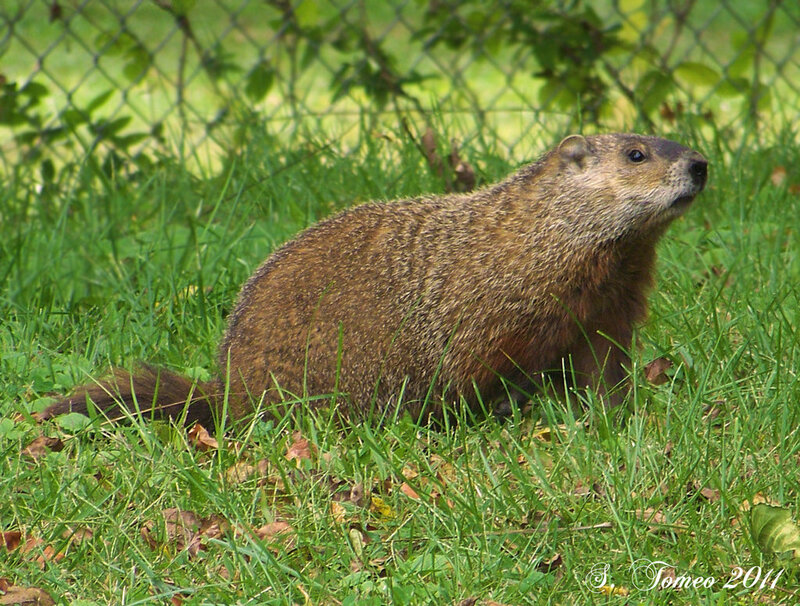 After minutes of deliberation as to which of these three worthies to celebrate in blog form, I decided that groundhogs were obviously the most overlooked and therefore, the perfect candidate. No one suspects groundhogs! Fortunately, my fellow Harper Voyager authors pulled me back from the edge of groundhog blogging as they suggested we all do dating profiles for the characters in our books. So, romance, it is! (Alas, poor groundhogs!) If you suggest a match, you could win a prize! For my part, I’m willing to send out free e-copies or softcover copies if available of any two of my books, including Once Upon a Rhyme, Happily Never After or any books written by my Harry Heckel half (see www.harryheckel.com) such as In the Service of the King. Prizes will be awarded February 16th! Just comment with a match from one of the other sites, name the other author’s site, and the character on this site for the match and voila, you have a chance to win. If you’ve finished Happily Never After, then you may know that at least one of these characters is off the market, but we’re having fun here. Who knows what the future may hold! Many of the other authors are also running giveaways, so if you suggest matches for their characters, you’ll have more chances to win prizes. The event runs until 16 February, so get matchmaking! IF YOU WERE AN ANIMAL, YOU’D BE: Something beautiful, like a swan, but I can’t imagine being an animal. My destiny is to be queen and find true love. At least, that’s what was supposed to happen. EVER BEEN IN A FIGHT OR PRISON? Does being entrapped by a Dragon for over twenty years count? Of course, I’ve been in prison. How foolish! Don’t you know who I am? WHAT DO YOU THINK OF CHILDREN? I can’t even find true love. When could I ever hope to have children? So many dreams, shattered. GREATEST FEAR: That I will fail Rosslyn. That I won’t find true love. That everything that happened, my fairy tale story could mean nothing. JOB/CAREER: I’m Prince Charming, of course. WHAT YOU DO FOR FUN: Depends on the day. I will say, I rather enjoy trying on new fashions. However, practicing couplet does cause me to lose myself on many an afternoon, and there’s always questing and defeating foul enemies. When you are as great as I am, everything’s fun. GREATEST ACCOMPLISHMENT: Well, I suppose there was the time that I…ahem, does just being me count? I did compose an epic couplet yesterday after tea. MOST TREASURED POSSESSION: The latest outfit designed for me by the Royal Tailor. By tomorrow, it will be passé, so I’ll have to have another designed. IF YOU WERE AN ANIMAL, YOU’D BE: A lion or a peacock. FAVOURITE CHILDHOOD MEMORY: Stealing apricot tarts from the Royal Kitchen, but not that time I was caught by my father, the King. EVER BEEN IN A FIGHT OR PRISON? I regularly triumph in tournaments, and men tremble when I walk onto the practice yards. WHAT DO YOU THINK OF CHILDREN? I make sure that I smile and wave. Sometimes, I pat them on the heads if they appear to have clean enough hair so as not to soil my gloves. GREATEST FEAR: Oh, you mean like not slaying the Dragon that I’ve been prophesied to slay? Like having some peasant named Will Pickett do it instead? Like finding out that everything I’ve been told that I was supposed to do, has been done without me? That my life has no meaning? Check back later for more authors to be added! 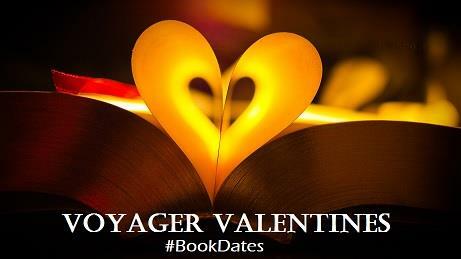 This entry was posted in Happily Never After, Once Upon a Rhyme, Writing and tagged #bookdates, free book giveaway, Harper Voyager authors by Harry Heckel. Bookmark the permalink. Uhm, I have already matched Princess Gwendolyn Mostfair with Tomas Caraway from Darkhaven by A.F.E Smith since their profiles seemed different and similar enough to make an interesting match. Reading around the other blogs another ‘interesting’ (or maybe not) match would be Prince Edward Charming with Petra Wade from The Brass Giant: A Chroniker City Story by Brooke Johnson. I think they could be so different that they could teach each other more than a thing or two…or die trying. How about Gwendolyn with Brendan from Bishop O’Connell’s blog. They are both older than they look and have sadness in their past, so they might find something in common. Bishop and I both thought this was a fun pairing. Thank you, Felicity. I think they’d rather like each other if they had a chance to talk. Tomas Caraway needs to run away with Princess Gwendolyn !!! Mostly because I see Gwendolyn being slightly unstable after finding she was sleeping so long. Everything she knew and loved must be gone. I can see how that might create mental issues for her. Edward could step in and help her using his head doctorness. Plus, he can cook. I don’t think the princess has much experience in that department.